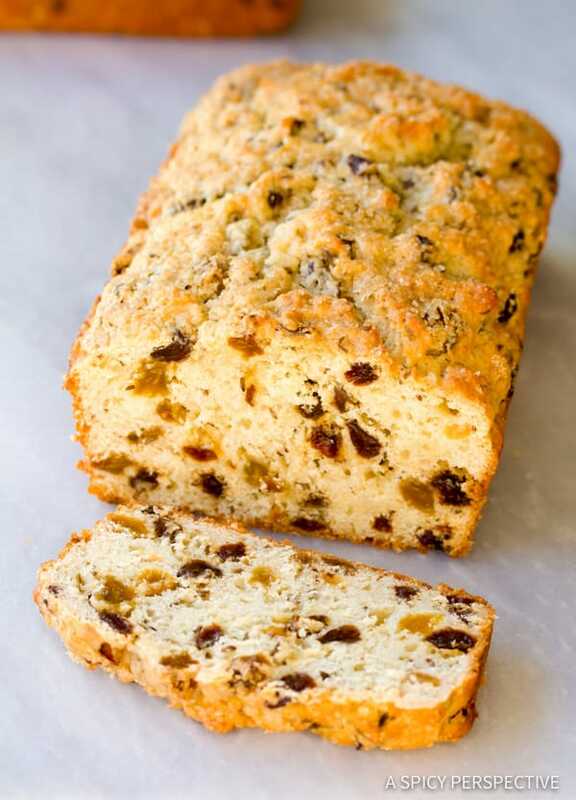 Sweet Irish Soda Bread Recipe, perfect for Saint Patrick’s Day. 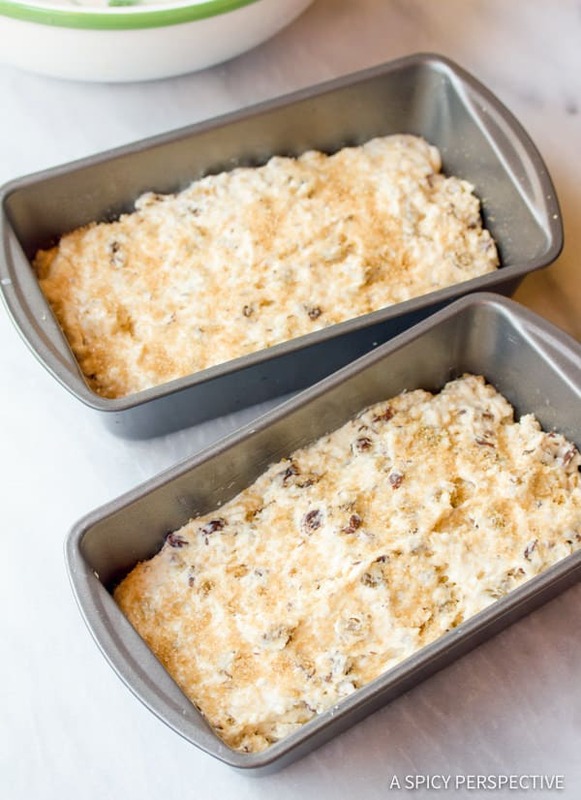 Two tender loaves of slightly sweet bread speckled with traditional raisins and caraway. My husband and I eat at an Irish pub every Saint Patrick’s Day. The first year we did this, we ended up in a little pub in Tulsa, Oklahoma called Paddy’s. If I remember correctly, we ate fish and chips and Irish stew. Yet what really caught my attention was the soda bread. 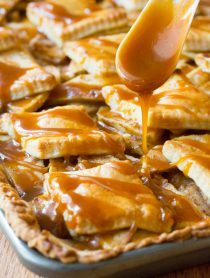 It was moist and dense with a slight sweetness that didn’t overshadow the soda flavor… I’ve been working on a comparable recipe ever since. While I like the appearance of the free-form, cross-topped, savory versions of soda bread, I prefer the sugary note and texture of “loaf pan” varieties. 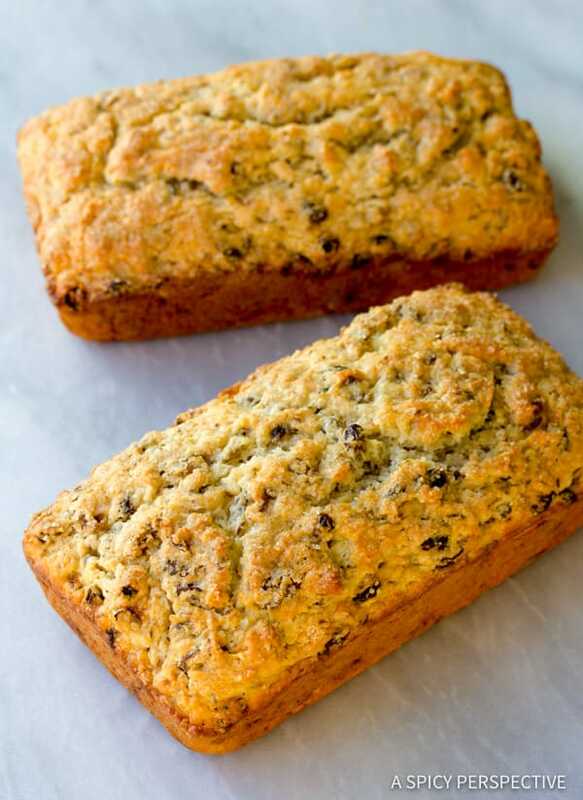 The flavor of this Sweet Irish Soda Bread recipe gently balances strong, savory Irish dishes. It’s hearty, with a surprisingly delicate taste. This is no utilitarian loaf. It’s a quick-bread with a sense of warmth and personality. A stand-alone soloist, that needs no back-up singers, but will happily join in the choir! After testing numerous dry, crumbly versions, I believe I’ve finally found a winner. This Sweet Irish Soda Bread, adapted from Brother Rick Curry’s The Secrets of Jesuit Breadmaking, is delightful and just as I remember it so many years ago. To take it to another level, serve this Sweet Irish Soda Bread warm with rich, tangy Irish butter from a specialty food market. 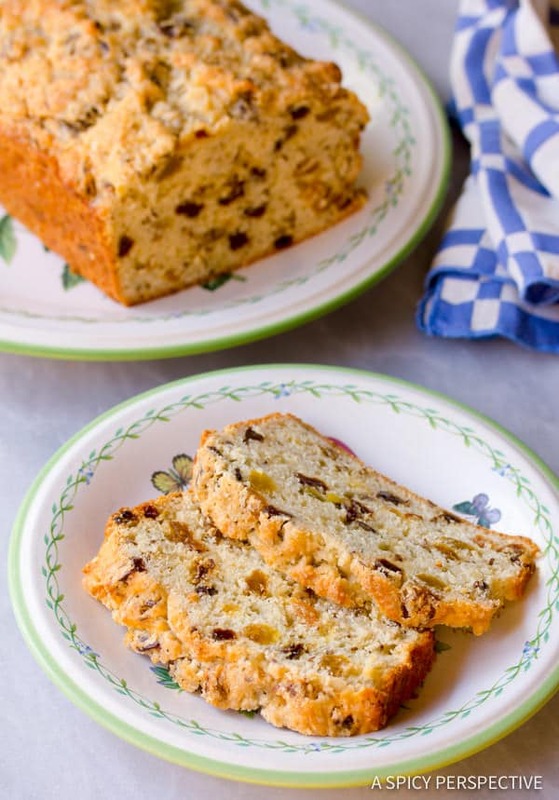 Sweet Irish Soda Bread Recipe, perfect for Saint Patrick’s Day. Two tender loaves of slightly sweet bread speckled with raisins and caraway. Preheat the oven to 350 degrees F. Generously butter 2 (9 X 5 inch) bread pans. Soak the raisins in hot water for 15-20 minutes, then drain well. Stir together the flour, sugar, baking powder, salt, and baking soda. Cut the butter into cubes and mix very thoroughly with the flour, by hand, until it looks grainy. 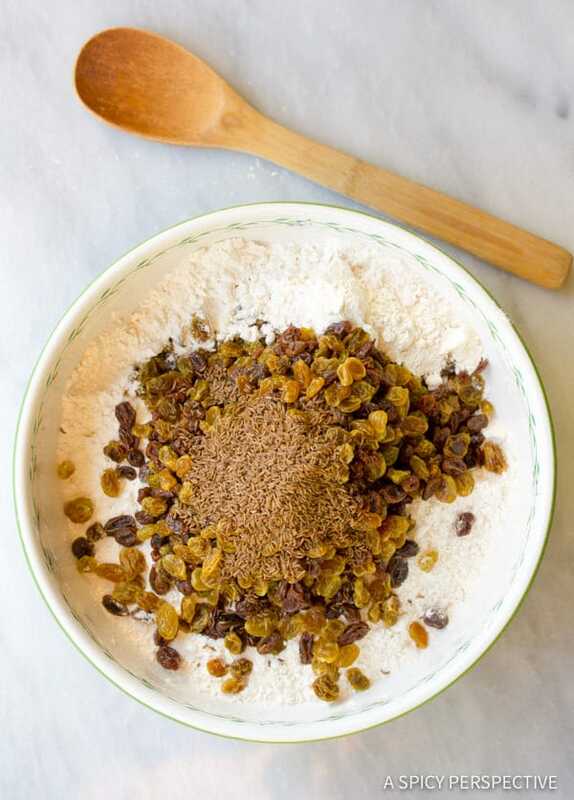 Stir in the drained raisins and caraway seeds. Add the buttermilk and egg to the flour mixture. Stir well. The dough should resemble thick cake batter. Equally fill 2 loaf pans. Then sprinkle the top of each with turbinado sugar to make it shimmery. Bake for 60-70 minutes. Test with a toothpick for doneness. Cool in the pans for 3 to 5 minutes. Transfer to a wire rack to cool. NOTE: Buttermilk can have different consistencies, depending on the brand. If your dough is thicker than dense cake batter, don’t worry! Just shape it into loaves and place in the pans. No need to add more liquid. This was the best soda bread ever! I omitted the caraway seeds because I dislike them, and I didn’t have turbinado, so I used light brown sugar on top. I also didn’t have buttermilk, so I made some using skim milk and lemon juice. I also cut the recipe in half to make just one loaf and baked it for an hour. Yum! So sweet and moist. Would make a great breakfast bread. I really liked this a lot. I love Irish Soda Bread! When I read your recipe I immediately thought…”what! a no-knead Irish Soda Bread?”. 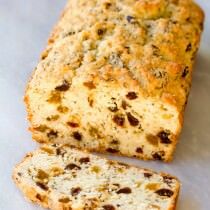 Well, I made it yesterday and I must say it is the best Irish Soda Bread I have ever tasted!!!! Must admit also to a couple changes….I reduced the sugar just a bit – more like 2/3 instead of 3/4 cup….I used currents instead of raisins and no need to soak them as the buttermilk plumps them just fine. That’s it. Lovely texture and the first time making this bread in a load pan but I like the idea; love the results! Thank you. 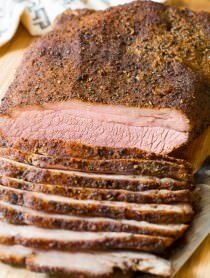 I just made this recipe today for St Patrick’s Day (couldnt locate the recipe I usually use). It was amazing, moist and sweet but not too sweet. I had to omit the caraway seeds because I can’t eat them, but other than that, the recipe was perfect. My family and some friends have already tried it and loved it. I tried your recipe yesterday and my bread turned out perfect! I used less raisins than the recipe called for because we don’t love them that much. The caraway seeds ad a delicious flavor. I will never be able to eat grocery store Irish soda bread ever again. Thank-you for a great recipe. Sounds delicious. 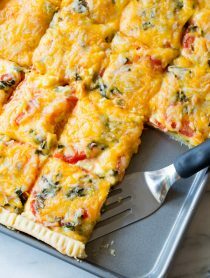 I am going to try and make these in muffin tins. Hope they turn out well. Noticed your comment about eating at Paddy’s in Tulsa, Oklahoma. We are from Tulsa, now in Houston. We still feel like it is home in a lot of ways. Do you live near Tulsa? Just curious Sommer. Thank you for your posts and Blog! Small world Sommer! You certainly live in a beautiful area of the country. Sorry, I just saw the liquid in the middle of the recipe. You don’t say how much or what type liquid to soak the raisins in. Clarification please. Just took my loaves out, cooled them and ate a piece slathered in butter (the way I remember eating them). I have not had Soda Bread in more years than I can remember, great recipe! getting ready to make this, but am concerned about the 2 teaspoons of baking powder for 5 cups of flour. I have a recipe that calls for 1 tablespoon to 3 cups of flour and it’s been a family fav for years now. I love this recipe. I think the buttermilk and the egg are what makes this version so fun to eat. I have used it approx. 12 times and I get lots of compliments each time. Delicious! Thanks John, so glad you like it! Ok, my husband tried printing on his mac and was able to reduce the size to one page by editing out the pictures and intro. I had the print function setup this way so everyone could choose what they want to print. Try editing something out and let me know what happens. Thanks Catty! Having problems printing out recipes… could be I'm on a mac. The aren't compact enough for one page. What do you think?